place and you change the meaning. like the whole effect . . .
your own at the moment your heart quickens. A thirty-first prompt for the Domino Project's #Trust30 online writing project appeared in my e-mail this morning. I could not ignore it. (Nor could I follow its instructions.) And why not end the 30th of June with a 31st poem? Mess up your hair. If you are wearing makeup - smudge it. If you have a pair of pants that don't really fit you - put them on. Put on a top that doesn't go with those pants. Go to your sock drawer. Pull out two socks that don't match. Different lengths, materials, elasticity. Now two shoes. Need to add more? Ties? Hair clips? Stick your gut out? I trust you to go further. Get ready to post it online. Are you feeling dread? Excitement? Is this not the image you have of yourself? Write about the fear or the thrill that this raises in you. Whom do you need to look good for, and what story does [the picture] tell about you? Or, why don't you care? I used all the #Trust30 prompts as inspiration for new poems. You'll find my poem for the 30th prompt and a list of poems for prompts 16-29 here. You'll find my poem for the 15th prompt and a list of poems for prompts 1 - 14 here. And now I really am done with this project! If you've ever tried to park in a Whole Foods parking lot, you will appreciate this music video by Los Angeles-based Fog and Smog. Sometimes, you just have laugh your way through a day's challenge. Today is what you wake to. What's to change? Breathe in! For the past 30 days I've been participating in the Domino Project's #Trust30 challenge, an online writing/reflection initiative for which a prompt is posted daily. All 30 prompts are here. Imagine your future self; i.e., you, 10 years from now. If he or she were to send you a tweet or test message, 1) what would it say and 2) how would that transform your life or change something you're doing, thinking, believing or saying today? * This poem is written in Shadorma form, which requires six lines following a 3-5-3-3-7-5 syllabic pattern. Looking back at the prompts, I note their repetition, their concern to be always looking forward, imagining the future, or to address fears to start moving ahead. Only a few contributors took their Emerson quotes and ran with them. There have been days when I groaned on seeing yet another prompt address the same thought, idea, or concept; however, I remained committed to seeing my participation in the project through its 30 days. That I decided to respond to every prompt with a poem is what saved me; had I not determined to raise the challenge by requiring a poem of myself each day, I would have continued the project (after all, I committed digitally to doing so and believe in keeping my word) but I would not have found myself with anything nearly so rewarding. I blame it on my age (I'm nearing 59) when I say I want to take some of the prompts' contributors and urge them to look into today. It's possible to be so focused on what you've yet to achieve or what you need to do to achieve it that you don't realize you're on just another kind of ever-rolling hamster wheel. I thank those participants who took the time to read some of my contributions, and especially those who left comments. You'll find my poem, "Truth Be Told", inspired by the 15th prompt and a list of my poems for prompts 1 - 14 here. Using plastic yellow tubes and lemonade bottles, Dutch kinetic sculptor Theo Jansen is "creating new forms of life" that need no food, understand where they are and can "detect" the presence of water, which is their enemy. They are creatures that "walk on the wind" and, Jansen says, he wants to populate Holland's beaches with "herds" of his self-propelling, ultimate self-surviving, "Strandbeests", including his Animaris Gubernare, Siamesis (2010), Umeris (2009), and Ordis (2007), among others, which he demonstrates in videos (also found on Vimeo) and explains here. The creativity, ingenuity, and technical brilliance behind these creations astound. Animaris Umerus from Alexander Schlichter on Vimeo. leave your future full of holes. I'm participating in the Domino Project's #Trust30 challenge, an online writing/reflection initiative for which a prompt is posted daily. All of the prompts to date are here. Contributors of prompts are listed here. Write down a major life goal you have yet to achieve or even begin to take action on. For each goal, write down three uncertainties (read: fears) you have relating to each goal. Break it down further, and write down three reasons for each uncertainty. When you have three reasons for your fear, you'll be able to start processing the change because you know where the fear stems from. Now you'll be able to make smaller changes that push you towards your larger goal. So begins the process of "trusting yourself." * This poem is written in Shadorma form. Each of the inter-related stanzas comprises six lines following a 3-5-3-3-7-5 syllabic pattern. You'll find my poem for the 15th prompt, "Truth Be Told", and a list of poems for prompts 1 - 14 here. 100.5 cm x 81 cm. yet ever open to the light? which words spilled before being stilled? of your every step back against the wall? of the last and lone witness. more than marks on this page? who'd put pen to paper, healing. even as the men are disappearing. This poem is inspired not only by this image of Picasso's Buste de Femme, which, as this recent article relates, came to be the "first masterpiece to be exhibited in the Palestinian territories", but also by this moving Arts Fuse post, "Translating at the War-Crimes Tribunal in The Hague", by Ellen Elias-Bursac, visiting scholar at University of Massachusetts/Amherst. I offer this poem for the One Shot Wednesday at One Stop Poetry, which each week invites poets to share, read, and comment on each other's work. Be sure to visit the site late Tuesday afternoon and every Wednesday for the many contributors' poems. you will ever muster in awe. My visit to South Africa, though not recent, will forever be the trip I will not forget. To hike to the top of Table Mountain in Cape Town, to watch penguins tumble from the bushes to rush into the sea at the Cape of Good Hope, to travel through bush on safari, to emerge from your tent to see monkeys in trees, or walk through camp at night with armed guard because the animals are free to roam. 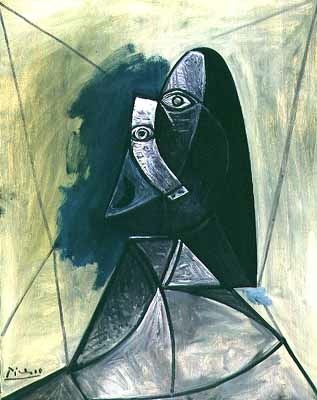 . . those are experiences that recall to me my moments of being "alive-est". I'm participating in the Domino Project's #Trust30 challenge, an online writing/reflection initiative for which a prompt is posted daily. All of the prompts to date are here. When did you feel most alive recently? Where were you? What did you smell? What sights and sounds did you experience? Capture that moment on paper and recall that feeling. Then, when it's time to create something, read your own words to reclaim a sense of being to motivate you to complete a task at hand. You'll find my poem for prompt 15, "Truth Be Told", and a list of poems for prompts 1 - 14 here. Several weeks ago I happened upon a site called MuckWorks, which produces chapbooks, pamphlets, and related ephemera of such writers as Elizabeth Alexander, Yona Harvey, and Terrance Hayes. 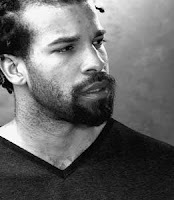 The poetic "experiments", as MuckWorks' visionary Douglas Kearney calls them, are made available as free pdfs or mp3s downloadable from the site. It's worth taking a few moments to see what Kearney is doing in the self- or independent-publishing field, particularly with chapbooks. Kearney is a poet, performer, and librettist (he's written four operas). His most recent chapbook, Quantum Spit, comprises seven 12" x 12" broadsides; released by Corollary Press in 2010, the hip-hop poem's special format includes a full-size record sleeve that Kearney designed, with each page doubling as a poster. His Fear, Some, his first full-length poetry collection, was published by Red Hen Press in 2006. His second, The Black Automaton, published by Fence Books in 2009 (also available on Amazon), was selected for the National Poetry Series and named a finalist for a 2010 Pen Center USA literary award. A Pushcart Prize nominee and the recipient of a 2008 Whiting Writers' Award, Kearney has published poetry in nocturnes, MiPOesias, Ploughshares, Gulf Coast, and other literary periodicals. He regularly performs his work at venues across the country. He teaches at the California Institute of the Arts. An excellent interview with Kearney, in which the poet discusses the chapbooks he produces at MuckWorks, collaboration with other poets, and the future of chapbooks, can be found here. Another at laist, can be found here. To download MuckWorks One, a 20-page color pdf featuring poems by Latasha N. Nevada Diggs, Brian Gilmore, Yona Harvey, National Book Award winner Terrance Hayes, Amaud Jamaul Johnson, Douglas Kearney, Bao Phi, and Crystal Williams, go here. Think about the type of person you'd NEVER want to be 5 years from now. Write out your own personal recipe to prevent this from happening and commit to following it. "Thought is the seed of action." * This poem is written in Shadorma form; that is, each stanza comprises six lines following a 3-5-3-3-7-5 syllabic pattern. I offer this poem* for today's One Shoot Sunday Picture Prompt Challenge at One Stop Poetry, where you will find an interview with photographer Adam Romanowicz and images of his work, including the image above that inspired this poem. 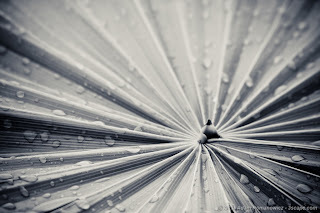 To see more of Romanowicz's photographs, visit 3scape Photos. Go here to read Chris Galford's interview with Romanowicz and then scroll down for instructions on participating in today's event. * This poem is written in Shadorma form, which requires six lines of no or no set rhyme that follow a 3-5-3-3-7-5 syllabic pattern. which then becomes a place of rescue. Sven Birkerts, editor of AGNI since 2002, is a literary critic and essayist. His books include, most recently, Reading Life: Books for the Ages (Graywolf Press, 2007), Art of Time in Memoir: Then, Again (Graywolf, 2007), and The Gutenberg Elegies: The Fate of Reading in an Electronic Age (paperback, Faber & Faber, 2006; first published in 1994), the source of the quote above. A collection of essays, The Other Walk (Graywolf) will be published this September. most and keep them running. What if today, right now, no jokes at all, you were actually in charge, the boss, the Head Honcho. Write the "call to arms" note you're sending to everyone (staff, customers, suppliers, Board), charting the path ahead for the next 12 months and the next 5 years. Now take this manifesto, print it out somewhere you can see [it], preferably in big letters you can read from your chair. You've just written your own job description. You know what you have to do. Go! This week's Saturday Sharing introduces you to some recent finds in the world-wide web of blogs. ✦ Take a peek at attorney Kimberly Bender's blog the location; even if you're not a local, as I am, you'll be delighted by what you'll find, including Bender's recent post "Hidden Tunnels, Bugs, and Bigamy: A Strange and True D.C. Story". ✦ Indie publisher Fact-Simile produces handmade books and book-objects, as well as a twice-yearly large-format literary journal available online at no cost (in print, while supplies last). Of note are Fact-Simile's trading cards featuring writers. The cards for the 2011 12-writer series feature a poem. ✦ Toronto artist Sara Sniderhan showcases some of her work on her blog, Best of Sniderhan and talks shop at a second blog that keeps readers up to date on workshops, gallery openings, and other art-related matters. Sniderhan's a wonderful painter and is represented by Ingram Gallery. ✦ Northwest writer Jeannine Hall Gailey, whose second book She Returns to the Floating World will be published this fall by Kitsune Books, is offering a summer series of interviews with poets on Jeannine Blogs. ✦ Activist poet Joseph Ross, co-editor of Cut Loose the Body: An Anthology of Poems on Torture and Fernando Botero's Abu Ghraib (American University, 2007), writes here about a wide range of literary events. Read some of his poetry here. ✦ Roderick MacIver, founder of Heron Dance, a nonprofit literary and art studio in Vermont, writes a daily illustrated e-journal, Reflections of a Wild Artist, that takes as its subjects "love, compassion, and beauty as central elements of a well-lived life". His Heron Dance Press publishes print and e-books, as well as notecards, calendars, and blank journals. To see MacIver's online gallery of beautiful original paintings, in watercolors and acrylics (some also are available as giclees), go here. to look into my own soul. out that other voice only I know. where both x and y are you. We are out most potent at our most ordinary. And yet most of us discount our "ordinary" because it is, well, ordinary. Or so we believe. But my ordinary is not yours. Three things block us from putting down our clever and picking up our ordinary: false comparisons with others ("I'm not so good a writer as ____. "), false expectations of ourselves ("I should be on the NYT best seller list or not write at all. "), and false investments in a story ("It's all been written before, I shouldn't bother."). What are your false comparisons? What are your false expectations? What are your false investments in a story? List them. Each keep you from that internal knowing about which Emerson writes. Each keeps you from making your strong offer to the world. Put down your clever and pick up your ordinary. ✭ The Vimeo channel of the New York Foundation for the Arts offers at least five dozen videos featuring artist interviews (Andres Serrano, Kate Gilmore), recorded panel discussions, process demonstrations, and other information for professional development and success (e.g., grant-writing esssentials, funding sources). NYFA's Website should not be overlooked for its Business of Art articles. 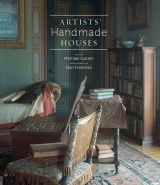 ✭ Photographer, historian, and landscape architect Don Freeman has published Artists' Handmade Houses (Abrams) featuring images of 13 homes hand-crafted by American artists, including George Nakashima, Sam Maloof, Paolo Soleri, and Russel Wright. Text is by landscape architect and New York City planner Michael Owen Gotkin. This superb trailer was produced for the book. Take eight minutes to view it, and be awed. Talk about inspiration! ✭ Seeing Maira Kalman's wonderful work in person is ideal but we're not all so lucky. Or maybe you've already seen her work on exhibit and now that you're back home need another fix of And the Pursuit of Happiness, yes, just one more time. Whichever category you're in, you might find to your liking these 12 months of Fridays of Maira Kalman online at The New York Times. Kalman's current show "Maira Kalman: Various Illuminations (of a Crazy World)" continues at The Jewish Museum in New York City through July 31. The exhibition includes a catalogue. Watch the full episode. See more SundayArts. ✭ Photographs, drawings, collages, and encaustics created by Diane Bowie Zaitlin are on exhibit through September 4 at Saco Museum, Saco, Maine. The work in the show, "Point of Departure", reflects Zaitlin's inspirations and influences during her June 2010 residency at Great Spruce Head Island Artweek, Penobscot Bay. 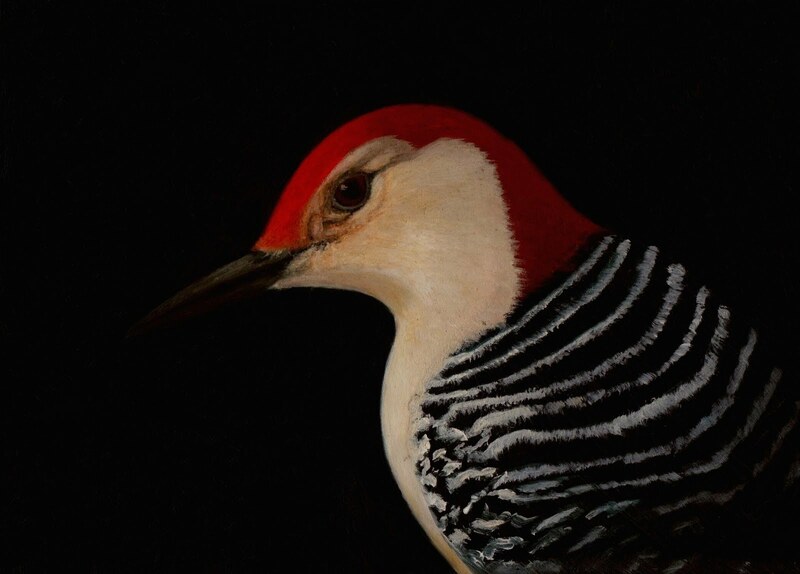 ✭ Superb oil painter Tracey Clarke shows "Birds" at her opening June 26 at the Fredericksburg (Virginia) Center for the Creative Arts. On view through July 30, with an opening reception scheduled for July 1, from 6:00 p.m. to 8:30 p.m., the exhibition reveals not only Clarke's excellence in technique and use of color but her deep love of animals. An earlier post about Tracey is here. ✭ Chicago's McCormick Gallery is showing through August 13 "Saltillo Sarape: A Survey 1850-1920". A book on this northern Mexican textile tradition in weaving, by gallery owner Thomas McCormick and Mark Winter, accompanies the show; it features more than 100 color illustrations. ✭ You will find a mix of fascinating art, science, and technology in New York City, where the American Museum of Natural History is presenting through August 15 "Introducing Brain: The Inside Story", an exhibition that "combines Museum research focus on evolutionary history and the diversity of life with the recent explosion in technology that is giving scientists a deeper understanding of brain chemistry and function." The exhibition includes Spanish artist Daniel Canogar's immersive installation, Synaptic Passage, a walk-through "tunnel" of neurons; Devorah Sperber's After the Mona Lisa 8 (2010), which uses 1,482 large spools of threads and models, through a viewing sphere, how the brain translates visual information; a 6-foot-tall human figure used to highlight sense of touch; a multi-media video showing the functional areas of the brain that light up when a student auditions for Julliard; a "neuron gesture table" illustrating how brain cells connect and communicate; a deep-brain stimulation implant; and a "brain lounge" where visitors can view scans of a New York Knicks shooting guard. An array of exhibition-related slideshows and videos may be viewed here. ✭ On view through July 4 at New York's Metropolitan Museum of Art is "Rooms with a View: The Open Window in the 19th Century". The special exhibition features 30 oil paintings and 30 works on paper in which the Romantic motif of the open window is present. Included are works by C.D. Friedrich, Adolph Menzel, C.W. 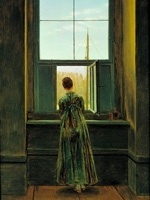 Eckersberg, and Leon Cogniet. Loans comes from museums in Europe and the United States. An exhibition catalogue of the same title accompanies the show. braid of petals twisted through. on her mass of red unfading bloom. be yours at risk to hearing what's unasked. where the ball lands before it hits. I've included in this poem some of the colors, such as blue, and trees, such as willow and rowan, that myth holds out as symbols of intuition. Some think of intuition as a mysterious sixth sense with which we all are born; others are adamant it is a skill we can learn, reasoning it to be our innate ability to draw objectively on all our experiences, observations, perceptions, and stored information to enable us to make decisions. I liken intuition to looking in the mirror; depending on how you stand and in what kind of light, you might see your image reflected multiple times, each reflection representing another layer of you (intellect, emotions, beliefs, fears, instincts, etc.) on which to draw to live the life you want. If you could picture your intuition as a person, what would he or she look like? If you sat down together for diner, what is the first thing he or she would tell you? You'll find my response to prompt 15, "Truth Be Told", and a list of my poems for prompts 1 - 14 here. words, throw us a smile. I wrote this poem* after watching on the Being blog this 8:13-minute documentary about Louie Evans, a Bostonian who rides a three-wheeler (less generously called a tricycle) all about the city streets for the sheer love of it. Nobody, it seems, knows Louie better than the guys at Back Bay Bicycles who keep Louie's bike repaired. I found this short film to be deeply touching. I offer this poem for the Challenge to Write Poetry with Books & Culture, which appears at the end of this article by Marcus Goodyear, "Writing Poems in Your Own Backyard". Marcus, author of the poetry collection Barbies at Communion, is senior editor at The High Calling and Christianity Today's Faith in the Workplace. Anyone may participate in this challenge to write in community. Entries must be posted on the Books & Culture FaceBook wall by July 1. Marcus gives his word that he'll read every entry, leave a comment if possible, and, together with colleague John Wilson, will select one or more poems to feature in next month's column. A selection may appear also in Every Day Poems. * Both stanzas of this poem are written in Shadorma form, which requires six lines following a 3-5-3-3-7-5 syllabic pattern. to get in touch now. Nothing may be so important as periodically checking in with oneself. Who is one person that you'vebeen dying to connect with but just haven't had the courage to reach out to? First, reflect on why you want to get in touch with him. then, reach out and set up a meeting. This poem is written in Shadorma form, which requires stanzas of six lines of no or not set rhyme following a 3-5-3-3-7-5 syllabic pattern. Think your Kindle, Nook, or i-Pad is the coolest thing going? Maybe. . . until you see what poet, essayist, book artist, and digital media scholar Amaranth Borsuk, Ph.D., created with programmer Brad Bouse. Exploring the intersection of art and technology, Borsuk and Bouse produced in 2010 Between Page and Screen, a hand-bound, letterpress-printed, limited-edition chapbook containing no text. You read that correctly: no text. What's needed to "play" the book? A computer, a Webcam, and the instructions at Between Page and Screen. A sample marker may be printed from the site. Close-up photos of the book are here. Images showing its assembling are here. Demonstration photos may be viewed here. Technical information about the software is at the end of this page. To experience Borsuk's The Song Cave, go here and click on the title. Borsuk's Excess Exhibit is forthcoming from ZG Press. I've been a writer my entire life. Writing requires work and discipline, and no little perseverance, even now that I'm "retired". What I've never questioned is my confidence that I write well, or that writing sustains me, is fed by its own source. The day I think I have to create enthusiasm for what I do is the day I will stop writing. My passion's sufficient in the doing. "Nothing great was ever achieved without enthusiasm" is a great line from Emerson. If there's no enthusiasm in what you do, it's won't be remarkable and certainly won't connect with people on an emotional basis. But if you put that magic energy into all of your work, you can create something that touches people on a deeper level. How can you bring MORE enthusiasm into your work? What do you have to think or believe about your work to be totally excited about it? Answer it now. * This poem is written in Shadorma form. The six-line stanza follows the 3-5-3-3-7-5 syllabic pattern the form requires. You'll find my response to prompt 15, "Truth Be Told", and a list of poems for prompts 1 - 15 here. I offer this poem, written in Shadorma form (a six-line stanza following a 3-5-3-3-7-5 syllabic pattern), for the One Shot Wednesday event at One Stop Poetry, which each week invites poets to share, read, and comment on each other's work. Be sure to visit the site late Tuesday afternoon and every Wednesday for the many contributors' poems.